The historical centre of Oviedo still maintains the old taste of the 19th century, in comparison with the predominant modernism of the rest of the Spanish’s cities. Many restorations and reconstructions have been needed in the last decade to emphasise this historical character. Numerous walkways in the city centre which do not permit cars or other kind of modern vehicle give us an idea of what life was like in those times. In many ways, Oviedo still has the appearance of the old times that Leopoldo Alas “Clarín” portrayed so well in his famous novel, “La Regenta”. Walking down the street of González Abascal we come closer to the cathedral. To the left one can see the square of Porlier, restored not so long ago. In this point what is interesting to note is the sculpture of a traveler carrying a lot of cases but appearing quite relaxed. This sculpture is suitably entitled “El regreso de Williams B. Arrensberg” and was created by the artist Úrculo in 1993. An other historical building that one can find here, is the palace of Camposagrado, of the 18th century. On the right one can see the palace of Conde de Toreno, where the famous delegate of Cortes de Cádiz and also important historician, José M. Queipo de Llano were born. Now this building stands for the seat of the Real Instituto de Estudios Asturianos, interested in the study and divulgation of the etnography, culture and asturian literature. 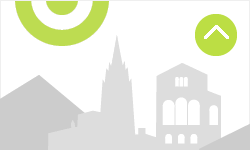 Going along the same road, González Abascal, one reaches the square of the Cathedral of Oviedo. The cathedral has only one tower yet it stills stands tall and swelling with pride. 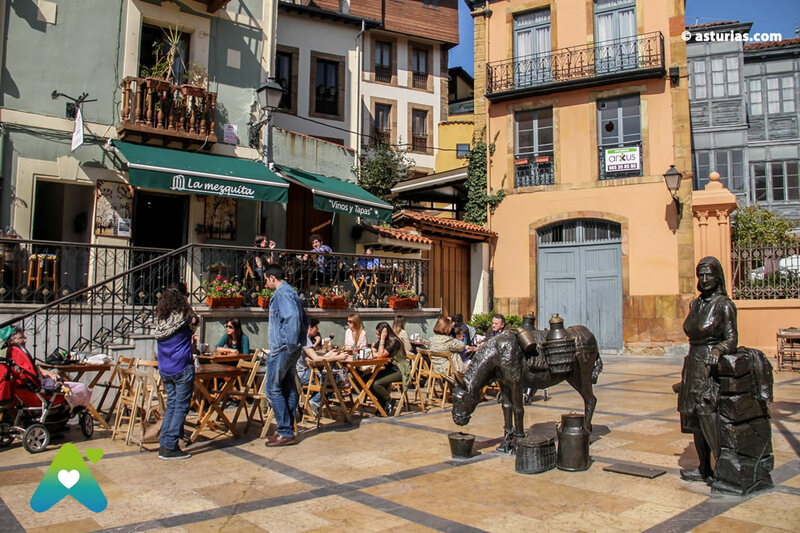 In this square the famous market of “les madreñes” was established, becoming one of the social meeting points in the old Oviedo. From here one can also admire the Palacio de los Valdecárzana Heredia, dated in 17th century. This palace was a meeting point for the wealthy families of Oviedo and it was also the well known casino featured in the novel “La Regenta”. Also here in this square is the sculpted figure of Ana Ozores, La Regenta, in the centre of the square amongst the passers by. Now we take the street of Cimadevilla, next to the Rúa and the street of Magdalena, these streets were the meeting points for the wealthy society. In these streets numerous shops, coffee bars and bazaars can be found. On the right there is a narrow street that leads us to the square of Trascorrales. 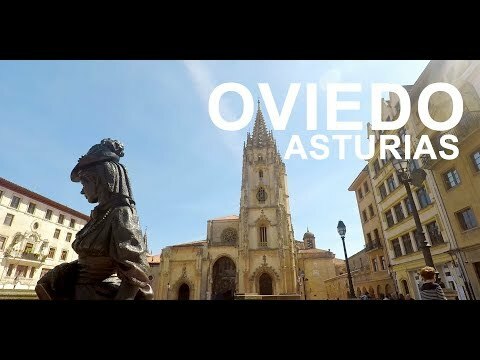 There, one can breathe the air of history and meet the old Vetusta (Oviedo’s ancient name). Then, we return to the street of Cimadevilla where a high arch is located for people to walk across. This is actually the oldest door of an ancient Medieval wall. Over it, the town council clock is placed and from here to the square of la Constitución there is a short walk, with many architectural buildings to admire and enjoy the humility of the city. In this square the San Isidoro del Real Church of the 17th century is located. Now one takes the street of Magdalena getting to the well known square of El Fontán, an emblematic square of the old Oviedo. This has been restored according to modern architectural premises. El Fontán and its annexe square, Plaza Daoiz y Velarde are the meeting points for having fun, enjoying a snack and a soft drink whilst at the same time appreciating the famous flower market. In Daoiz and Velarde is situated La Casa de las Comedias, of neoclassic style. This now houses the Public Library Pérez de Ayala, and is frecuently very often by lots of citizens of the region. Joined to this cultural centre is one of the biggest palaces in the city, the Palacio del Duque del Parque of baroque style. If one were to continue walking through the square of El Fontán one reaches the street of Fierro, which should be passed through. Now, once more we reach the square of la Constitución and here we leave the church on our left, going down this street one reaches the street of El Peso. This road lead us to the end of this walk along the old city centre of Oviedo, finishing the walk in one of the most famous squares: La Plaza del Riego. This plaza takes its name from the Asturian General Liberal who froced the liberal triennium (1820-1823) against the absolutism of Fernando VII. It is a small square which can be used for meeting friends in the noons and nights of good weather, but above all during the popular festival of San Mateo, when it is filled with music and open air bars. In this place we can enjoy the calm atmosphere and activities before returning to the Oviedo of the present day.